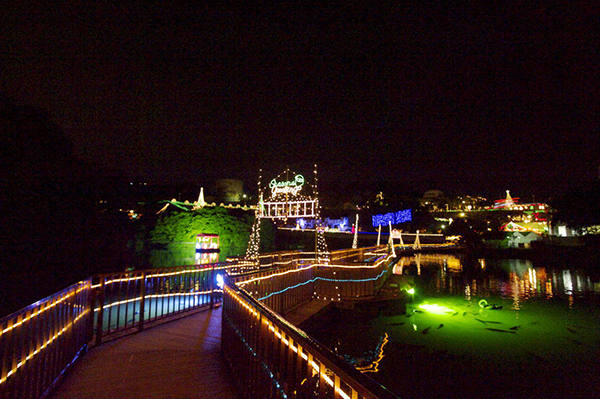 A popular annual event with more than 40,000 visitors each year, Christmas Fantasy creates a dreamy air that envelops the Okinawa Zoo & Museum. During the Christmas Fantasy, the zoo is adorned with countless colorful lights and beautiful decorations. 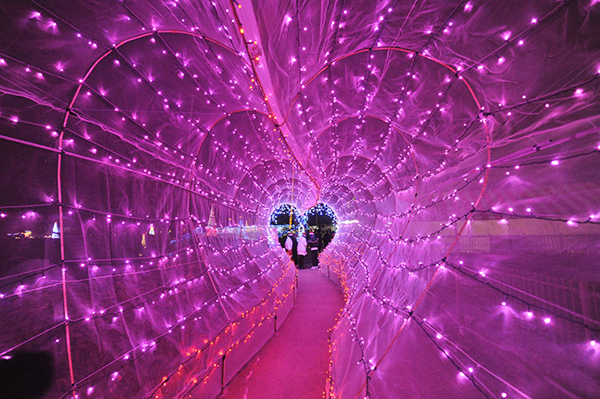 The festival features palm trees lit up with sparkling lights and a laser show that promises to be more stunning than ever before. 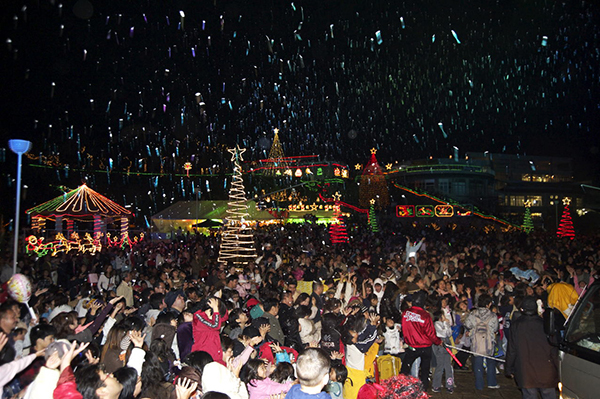 Additionally, there will be beautiful white snow, very popular with children in Okinawa. The snow is produced with snow blowers each day, and children of all ages can enjoy making snowmen and snow huts at the venue. A merry-go-round and other play equipment for children can be found at Children’s Square. Numerous other fun programs and entertainment shows are scheduled during the event. *Additional fee required for the snow section. *Temporary parking is available at the Okinawa City Office and the Koza Athletic Park, and a free shuttle service is provided to the Okinawa Zoo & Museum during the event.